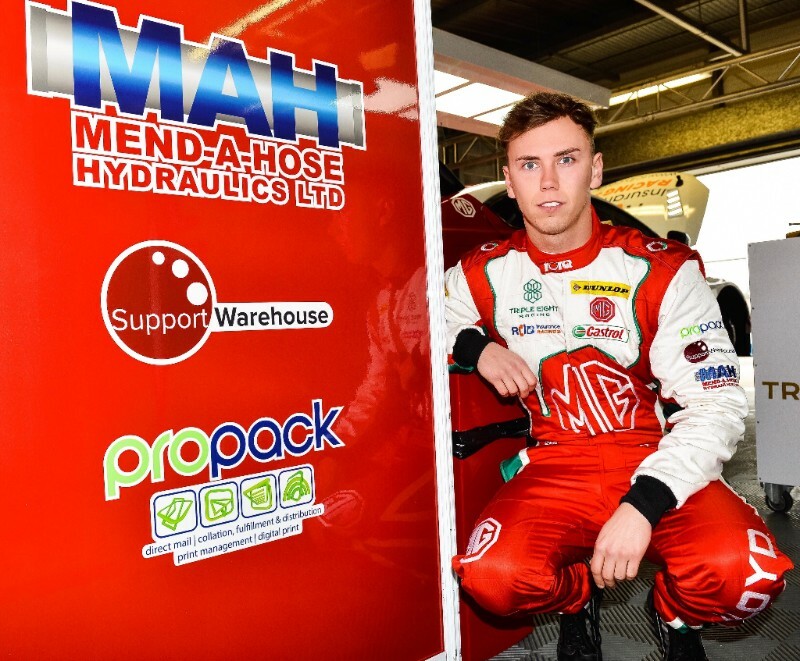 Huddersfield’s Daniel Lloyd heads to Leicestershire’s Donington Park circuit this weekend as the 2017 Dunlop MSA British Touring Car Championship gets back underway on the historic 1.98mile circuit (April 15-16). Lloyd endured a tough start to his 2017 campaign at Brands Hatch just over a week ago. In spite of the challenging conditions and at-times chaotic racing, the 25-year-old battled through to take his first points finish of the season in the MG Racing RCIB Insurance MG6. A capacity grid of 32 cars from 11 different marques will descend on Donington Park for rounds 4,5 and 6 of the 30-round championship, and with half of the grid former BTCC race winners, MG factory driver Lloyd knows that a strong qualifying result on Saturday afternoon is vital to his chances of success in Sunday’s three races. The 2017 Dunlop MSA British Touring Car Championship season reconvenes at Donington Park in Leicestershire on April 15-16. Saturday (April 15) features both 40 minute free practice sessions at 09.30 and 12.25 before qualifying for the first of Sunday’s (April 16) at 15.40. Sunday features rounds 4, 5 and 6 with the races scheduled for 11.37, 14.25 and 17.22 respectively.